This will be a new Challenge blog for scrapbookers all over the world. Each new Challenge will be posted on Friday every second week of the month. The first Challenge will be posted on Friday the 30th of August 2013. We will have various types of Challenges, ec. Sketches, Layouts, mini albums, albums, Journals and many more. We are looking for Design Team members. DT members will run for a 3 month term. First term running August - November 2013. Actively comment on creations. This is a BIG MUST!! Post a comment with your own blog link details by the 20th of August 2013, I like to visit your blog. Post about our Design Team Call on your blog to help get the word out. Please note these times and dates are European time. Hope you will join in the FUN! We are waiting to hear from you!! No matter if you are a beginner or a more advanced Scrapper! No matter if you are new to the DT Call, there are always a first time! Thank you, and I cannot wait to here from you! 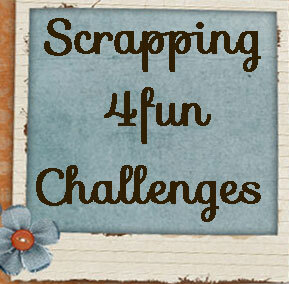 We are a new fun Scrappers Challenges blog. Design Team Call coming Soon! !